Clashes broke out in the latest "yellow vest" protests in French cities Saturday but a massive police deployment prevented more of the rioting and looting that marred last week's rally in Paris. More than 40,000 people took to the streets across France for a 19th consecutive week of anti-government protests -- 5,000 of them in the capital -- Interior Minister Christophe Castaner said. 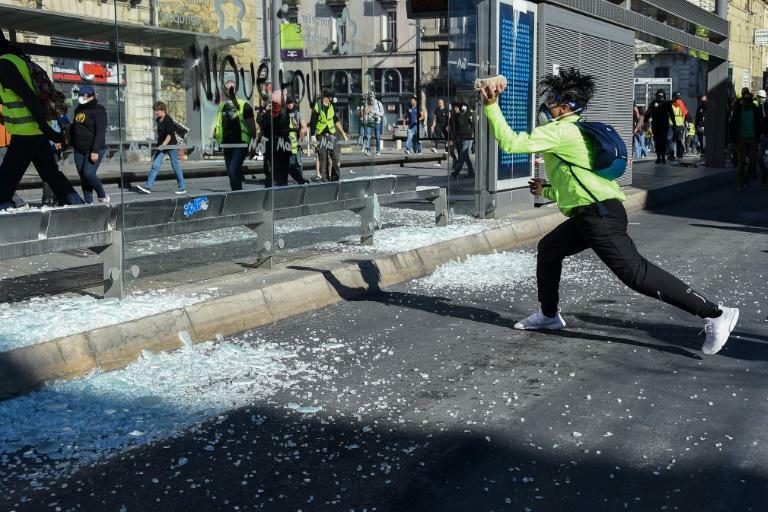 Most of the "yellow vest" protests were relatively calm but scuffles broke out in Paris in the afternoon. Police fired tear gas against hooded demonstrators, many wearing gas masks or helmets. That included the Champs-Elysees, the scene of last Saturday's rampage by hundreds of black-clad agitators. This time at least 70 people were detained in the capital, while around 50 were given fines -- which the government hiked by decree this week to 135 euros ($153) from 38 euros -- for protesting in the outlawed sectors, the police said. Dozens of people who defied the ban at Nice's Garibaldi square near the port were quickly surrounded by security forces and later evacuated, with 75 people arrested. "The movement has to continue, we owe it to the injured," said Martine, a 66-year-old pensioner in Toulouse, referring to the hundreds of people hurt since the protests began four months ago. "The much-touted social ladder is broken. We're all workers or low-paid employees, we're not making it," she said. President Emmanuel Macron was under pressure to avoid a repeat of last week's rioting on the Champs-Elysees, where over 100 shops were damaged, looted or set alight. 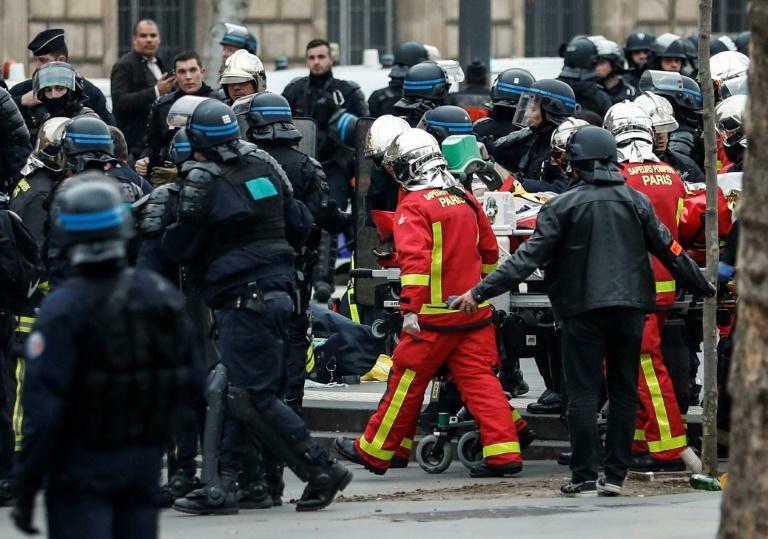 The Paris police chief was fired just a few days later, and his replacement Didier Lallement warned Saturday that his officers would move to "immediately end any violence or destruction." On Saturday "our instructions for firmness... enabled order to be maintained and prevented things getting out of hand," Castaner said. On social media, several "yellow vest" leaders had urged caution, warning demonstrators against appearing to support the violence by far-left or far-right infiltrators. 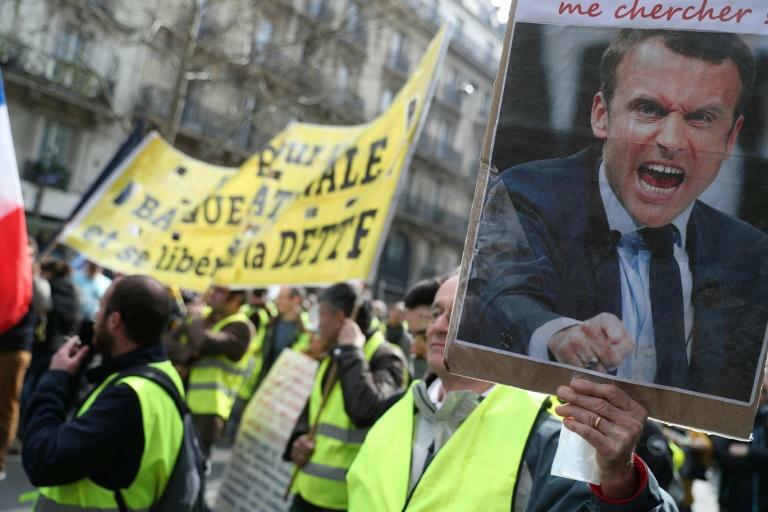 He has loosened the state's purse strings to the tune of 10 billion euros ($11.2 billion) to try to defuse the rallies with a package of financial relief for low-earners.